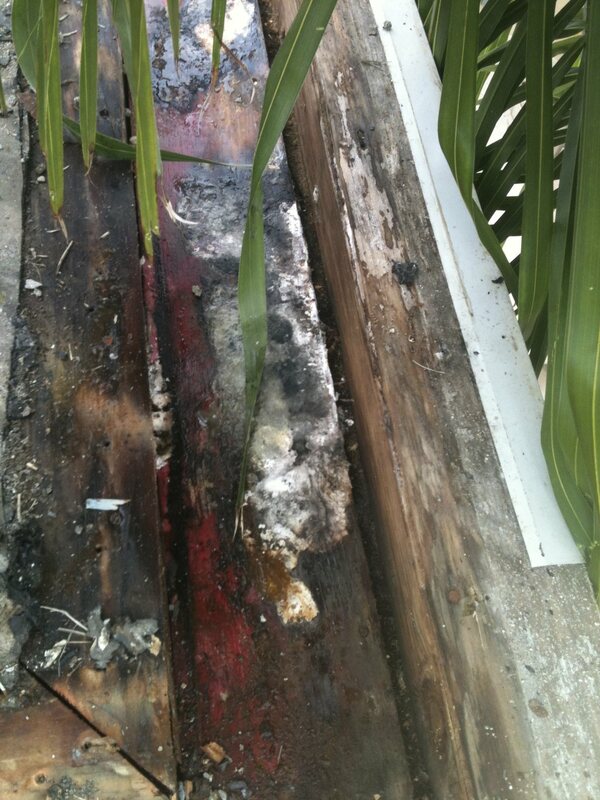 We hear it all the time, “I don’t have any signs of a leak!” or “Can’t you just slap some of that black stuff on it to fix it?” In all reality, roof leaks, mold growth and structural damage could be occurring to your property and you don’t even know it. 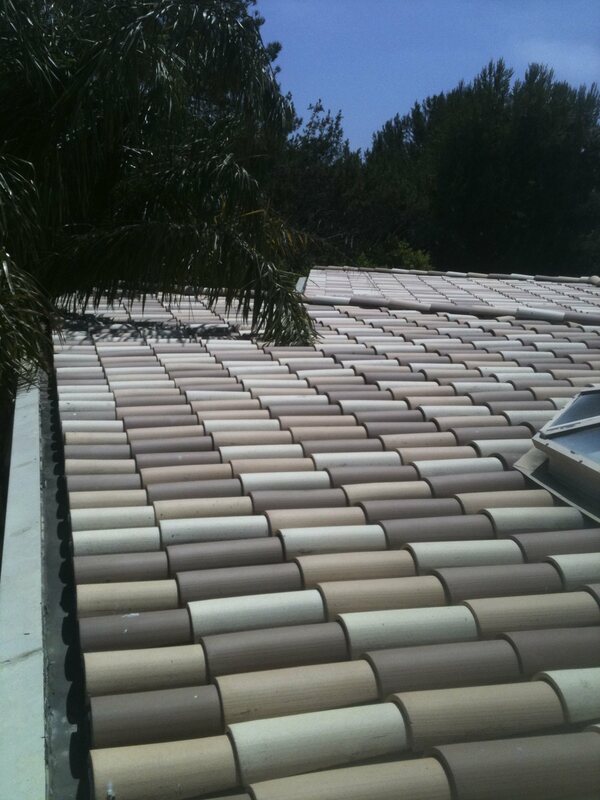 This story of a beautiful home, slow little roof leaks and several poor quality roofing contractors in Los Angeles, California is no different. This not-so-little, multi-million dollar home is located in Rancho Palos Verdes, CA and is meticulously maintained. It has a terrific two piece tile roof, though it was installed on a very low slope, with inboard gutters that were never properly waterproofed. On the outside and interior of the home, you would never know there was a problem. The tile was clean, non-broken and the interior walls, ceiling and paint were immaculate. 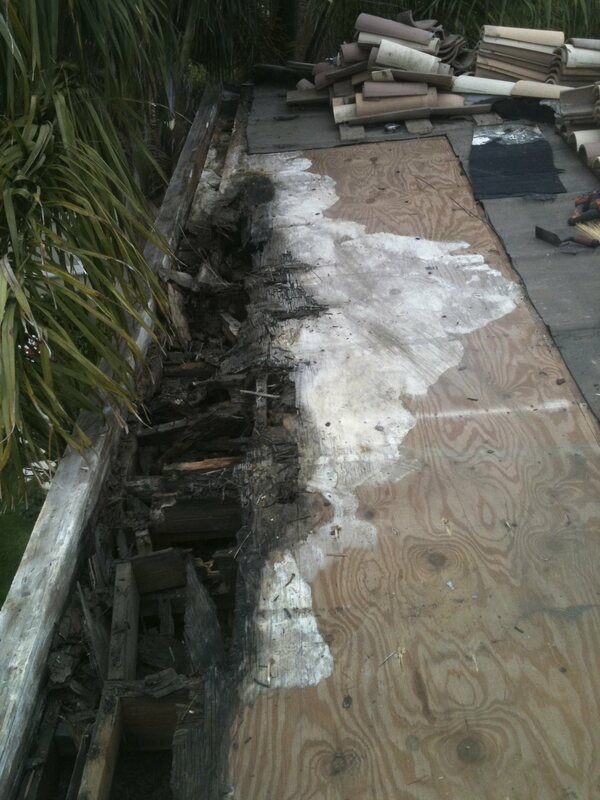 However, through the years, several different roofers tried maintaining this roof and inboard rain gutter system by continuously flooding the gutters with mastic and asphalt to waterproof them. In actuality, they never once waterproofed the perimeter of the roof properly and in fact they exasperated the roof leak problem. 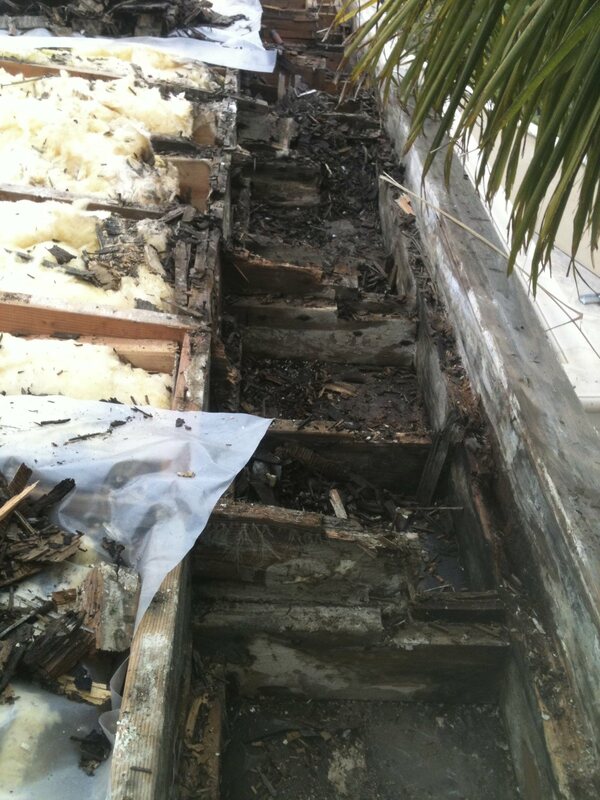 Over the years, slow, consistent water intrusion was occurring which lead to massive dry-rot in the roof sheathing, structural supports and rafters, along with serious mold growth which is a health concern. Not only did this small leak repair turn into a much larger roofing project, but it turned out to be a very costly mistake. Don’t take shortcuts and think that some guy going up on your roof, slapping mastic all over the place is going to fix your problems. 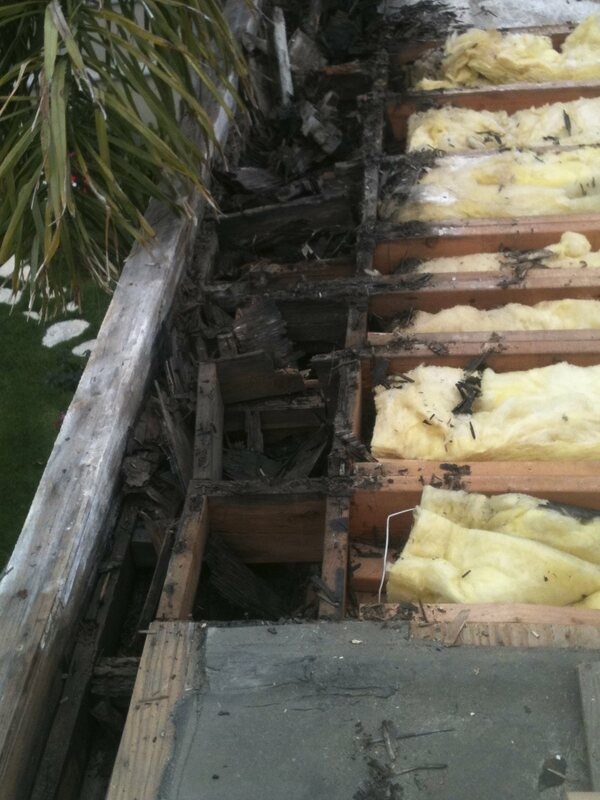 The pictures and video below are what we found and should be a sign of caution for you the next time your roofing contractor tells you have a leak.